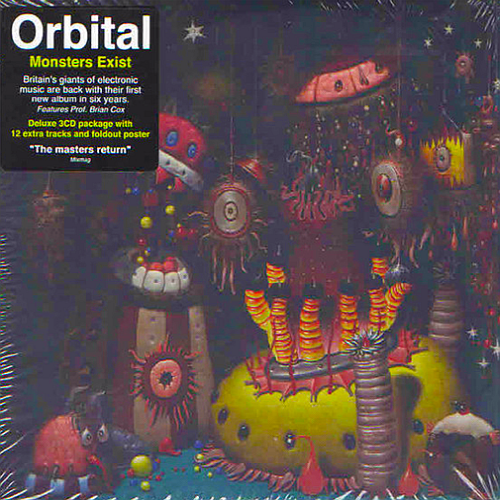 After a barnstorming live reunion which saw them play to ecstatic audiences across Europe throughout 2017, Britain’s giants of electronic music Orbital are back for good – with new music and an upgrade of the legendary live show that transformed festivals across the world. Recent single Tiny Foldable Cities, an intricate piece of electro-hypnotica, takes their signature sound forward into a new and fascinating phase, heralding their first new album in five years, Monsters Exist, out on 14th September. Throughout 2018 they play a string of high-profile festival dates and headline shows across Europe, featuring new material alongside classics like Chime, Belfast and Impact. Monsters Exist is available to pre-order now, with signed copies of the album and exclusive merchandise on the store.